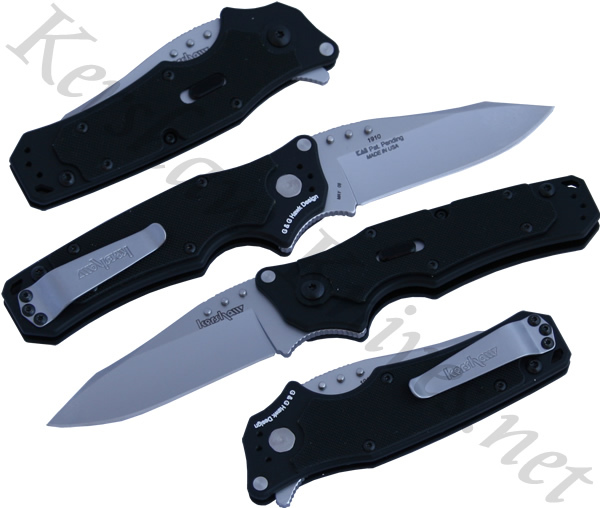 The Kershaw RAM knife uses a flipper on the back of the handle to quickly open the Sandvik 13C26 stainless steel blade. There is a piston lock that holds and releases the blade integrated into the 6061-T6 aluminum handle. On top of the handle on both sides are G10 overlays to increase your grip. The pocket clip can be mounted such that you can carry the knife on either side, tip-up or tip-down.